From 1992, Thierry and Isabelle Daulhiac have had the run of the nineteenth century manor house and the surrounding fifteen hillside hectares of vineyards, since it was handed down to them from the previous two generations. 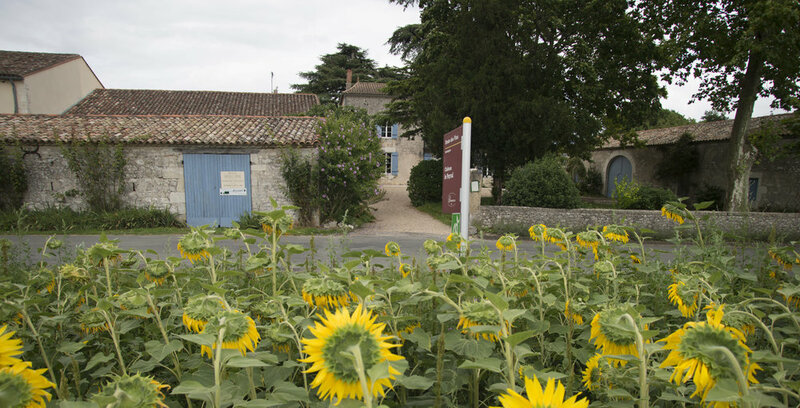 They are nestled between two oft-foggy appellations of Montbazillac and Sainte-Foy, in the town of Razac de Saussignac, with vines facing the Dordogne, about two kilometers to the north. When they took over in 1992, traditional farming methods were common, but the duo have slowly converted to organic (near biodynamic) practices in the vineyards. They cultivate eight hectares of white grapes (Sémillon, Muscadelle and Sauvignon Blanc) and seven of red (Merlot with Cabernet Franc and Cabernet Sauvignon). The organic methods have improved the outcome of their pebbled, muddy soils, heavy with clay, silt and sand, preventing the mildew and rot that the area can so easily bring. The cellar sees a combination of traditional and unique practices, incorporating some modern techniques to present more elegant and pure-fruited wine, and ageing occurs in a combination of oak and steel. A bright future lies ahead as they see the benefits of their natural ways affecting their plots. Perhaps the ideas will flow as easily into the wine making, ready to pass along to the next inhabitants of the elder estate. We like the prospects so far. The Cuvée Lou Payral is a wine totally vinified without adding sulphites. His name refers to the Occitan language and sounds like a return to the origins, what we wanted to do with this wine, an expression of our entire terroir. The grapes for the Lou Payral is grown on a clay and limestone soils rich in flint and iron oxides and harvested at full maturity. The tank is punched during the entire fermentation period and moved to vats after three weeks. The aging is carried out in vats for less than six months, followed by bottling taking place the following spring. The wine had no sulphite added either during aging or bottling. All grapes are hand-harvested and sorted before undergoing an eighteen-hour maceration. The grapes are then gently pressed into a steel tank where selected yeasts begin fermentation. Under temperature control, the lees are removed and are allowed to oxygenate for one to three weeks, after which they are reincorporated. The wine then rests until settled and is bottled with SO2. All grapes are hand-harvested and destemmed before being pressed into the tank. Selected yeasts then begin a fifteen to thirty day fermentation with repeated pumping over one to two times daily. The temperature is controlled throughout malo-lactic fermentation after which some tannin adjustment may be made depending on the vintage. Bottled with SO2. The grapes are hand-harvested. The vintage effect is dominant since nature plays a crucial role in the evolution of botrytis. After pressing, the juice spends 12-18 months in oak barrels for the fermentation period.